A great scent from your favorite soap helps to turn shower time into a refreshing and rejuvenating break. 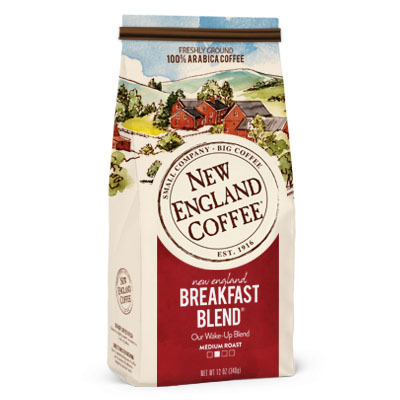 If you’re like us, we’re guessing that you love everything about your New England Coffee… including the smell. Why not take it into the shower with you? Sure, you can always get some pseudo-coffee experience from a synthetically scented store bought soap bar, but we’re talking about the real deal! 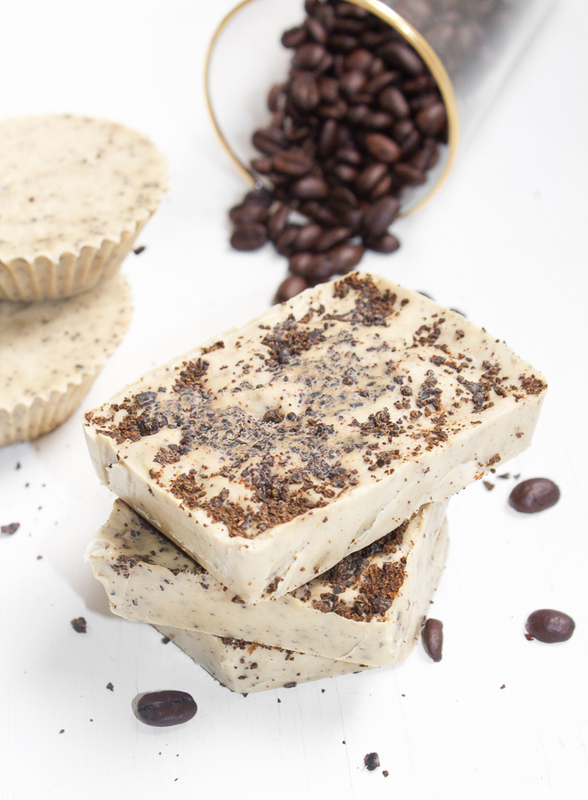 It’s a homemade bar that smells just like your favorite coffee because it’s made with your favorite coffee. Raquel from the blog Horses & Heels is a real down-home gal who started her site to share her love of horses and tons of tasty recipes. 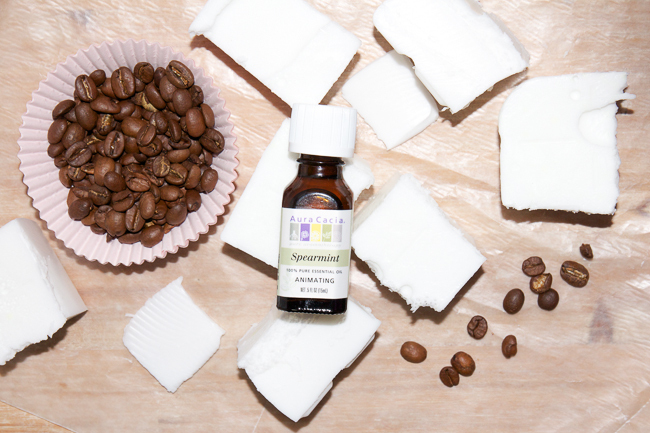 She came up with this nifty project for a homemade coffee mint soap that blends in coffee grounds with spearmint essential oils. A few whiffs of this is all you need to put your game face on and start the day. It’s an easy project that requires only a few ingredients. Plus, you get all the skin-healthy benefits of caffeine, including a boost to your circulation and firming the skin. One pound block of melt and pour soap base (sold from local craft stores or on Amazon). 1-2 Tablespoons fine coffee grounds (emphasis on fine coffee grounds). 20 Drops of Spearmint essential oil. Soap molds, silicon are the best but you can get creative and use cupcake lines or any other mold you desire. Wooden chopsticks or popsicle sticks for mixing. Cut the soap block up into cubes. Add the soap to the bowl and microwave in 30-second increments, stirring with the wooden stick each time until the soap is completely melted. You do not want to burn your soap! Add coffee grounds, and essential oil. Stir well. Carefully and quickly pour your soap into the molds. The soap does harden fast so you don’t have a lot of time. Give the soap at least 3 hours to harden before popping out of the molds. 5 or 6 hours is recommended. You can find more details for Raquel’s recipe on her blog, as well as follow her adventures on raising horses. Give this recipe a try and let us know how you like it!